If you know anything about Eighties pop music, you will remember Donna Summer's hit single 'State of independence' from 1982. 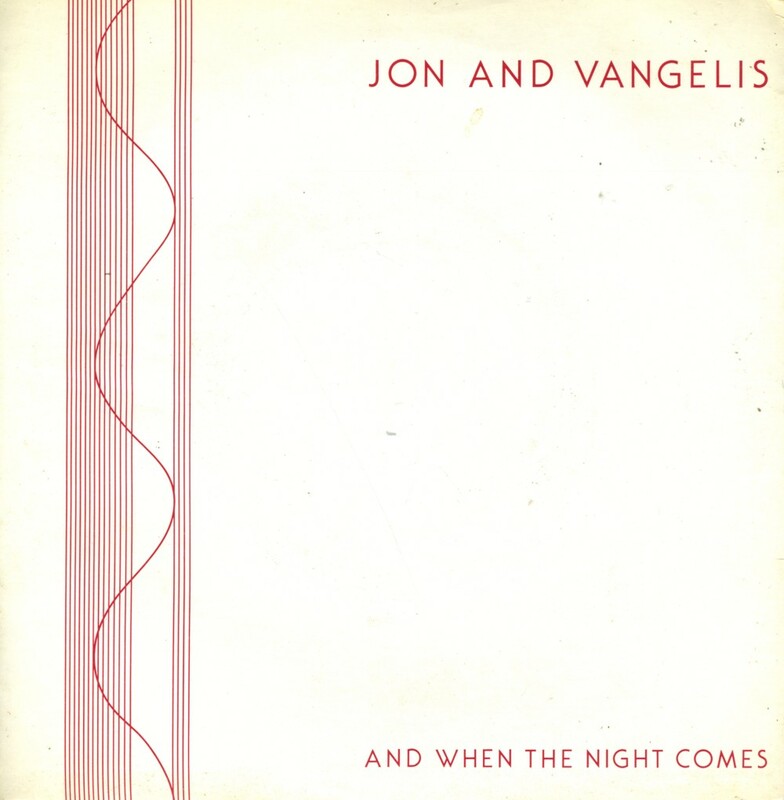 Jon and Vangelis, who wrote the song, recorded the song in 1981 on their album 'Friends of Mr. Cairo', but it turns out they also released it as a single in 1984. 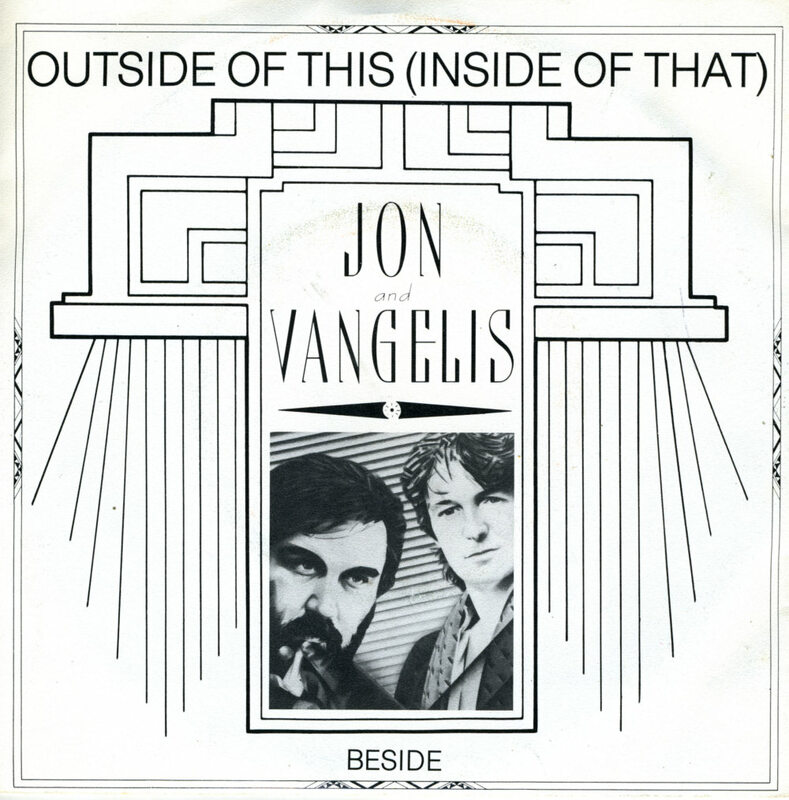 'Outside of this (Inside of that)' was a single taken from Jon & Vangelis' 1981 album 'The friends of mr. Cairo'. The track was edited from 5 minutes to 4 minutes and 10 seconds for the single. It was a peculiar choice for a single, as it doesn't have a very memorable melody or hook. No wonder, then, that this single failed to chart in all territories. Peter Marsh started out in the British music scene together with his brother-in-law, Ken Nicol. First as Nicol and Marsh, but later changing names to Easy Street, they released three albums together. After that Peter mainly played with short-lived bands and projects such as Twist (1979) and Mannfred Mann's band Chance (1980). In 1980 Peter Marsh hung around Nemo Studios for a while, contributing several songs on Vangelis' album 'See you later'. 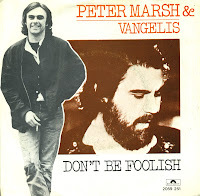 They also recorded this single together: 'Don't be foolish'. 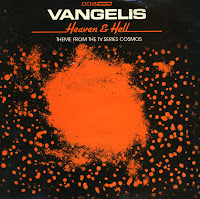 Vangelis released his fifth solo album 'Heaven and hell' in 1975. The album became his first commercial success, as it landed in the UK albums chart in 1976, peaking at number 31. It featured his first collaboration with Jon Anderson, with whom he would collaborate more in the early Eighties as Jon & Vangelis. The track 'Movement 3' came to prominence when it was used in the BBC TV series 'The cosmos' in 1981. The track was released on BBC records and reached the UK singles chart, peaking at number 48. 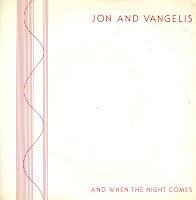 'And when the night comes' was released as the second single from Jon & Vangelis' third album 'Private collection'. The single failed to make any chart impact. It's funny how I never saw this single, while on the record fair on November 21 I found it in three different stalls. Sometimes I think there's a secret vault of old 7" singles where these things come from every once in a while. 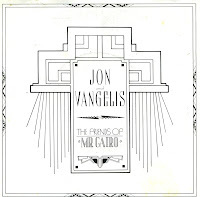 'The friends of Mr. Cairo' is the title track of Jon & Vangelis' second album, released in 1981. On the album, the track lasts 12 minutes, but is edited down to a little more than 4 minutes for this single release. It is still a rather confusing track, which didn't have any commercial appeal. The song is an ode to classic Hollywood films of the Thirties and Fourties. Most notable references are to the classic film noir 'The Maltese falcon'. The track incorporates sound effects and voice impressions of the stars of the era, most notably Humphrey Bogart and Peter Lorre. Jon Anderson and Vangelis had their biggest hit together in 1982, when they released 'I'll find my way home'. It reached number 1 in Switzerland and number 4 in the Dutch Top 40, although it didn't chart in the UK. The track was originally not included on their 1981 album 'The friends of Mr. Cairo', but after the single was such a success, it was still added to the tracklisting. And so there are two versions of the LP - although the cd edition was only released with 'I'll find my way home' included. 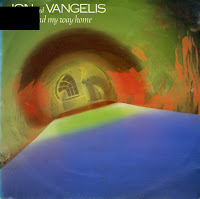 Most people know the songs 'I'll find my way home' and 'I hear you now', recorded by Jon and Vangelis in the Eighties. The fact that they released another album together in 1991 is less wellknown. 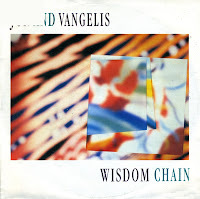 The album was called 'Page of life' and 'Wisdom chain' was the first single released from that album. The single flopped, and there were no further albums by the duo. The album 'Page of life' was re-released in 1998, but it included different tracks of which Vangelis did not approve. 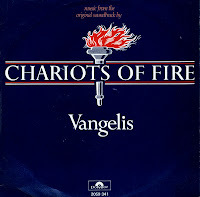 In 1981, Vangelis wrote the score for the film 'Chariots of Fire', set at the 1924 Summer Olympics. The choice of music was unorthodox as most period films featured traditional orchestral scores, whereas Vangelis' music was modern and synthesizer-heavy. The movie won the Academy Award for Best Picture and Vangelis won the Academy Award for Original Music Score. The opening theme of the film was released as a single in 1982, topping the American Billboard chart for one week after climbing steadily for five months. Evangelos Odysseas Papathanassiou was born near Volos, Greece on March 29, 1943. He became a composer of electronic music under the artist name Vangelis in the Sixties. In 1968, he founded Aphrodite's Child with that other famous Greek, Demis Roussos. Their first single became their biggest hit: 'Rain and tears'. 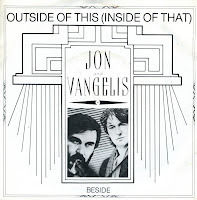 In the Seventies Vangelis moved to London, set up his own studio and signed with RCA Records. Between 1975 and 1980 he released five albums with electronic music. 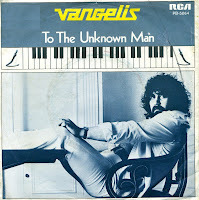 One of them was 'Spiral' (1977), from which this single, 'To the unknown man' was drawn. It gave him a minor hit in the Netherlands, reaching number 32 in the Dutch Top 40. Jon Anderson, best known from his work with Yes, and the Greek synth wizard Vangelis worked together on a number of albums. 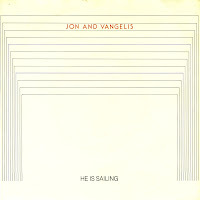 'He is sailing' is taken from their album 'Private collection', which contains eight lengthy tracks. It was nowhere near as successful as their 1981 singles 'I'll find my way home' and 'I hear you now', which is surprising as this track stands up well next to those two. 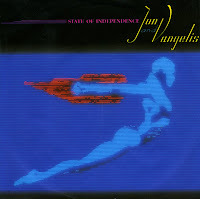 This is probably also why no further singles were released: their next single was a re-release of 'State of independence', the song that was successfully covered by Donna Summer in 1982.